Home > Solar Policy > Canberra reshuffle: Mr Coal gets the job but is it all bad news? Canberra reshuffle: Mr Coal gets the job but is it all bad news? Josh Frydenberg is in charge of energy. Should we be worried? Like experienced card sharps waiting for the deal, all eyes were on the Canberra environment portfolio reshuffles last week. This following the near-disastrous election result for the Coalition where hopes were high that Malcolm 3.0 may have “got the message” on renewable policy. At first glance, there was plenty of bad news. 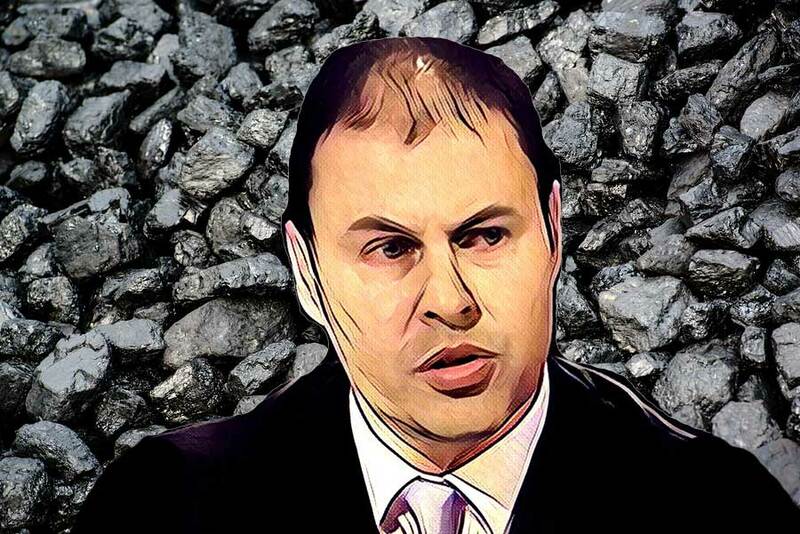 Not the least of which was the elevation of Josh “Mr Coal” Frydenberg to a cobbled together “super” portfolio of environment and energy. While the change sees the ineffectual (and unpopular) long-serving Environment Minister Greg Hunt finally dispatched, solar energy fans will worry at his replacement. For Fryds is a coal freak and believes the only source of energy worth worrying about is cheap, dirty coal. His love of the black stuff extends to being a strong supporter of Adani’s massive $16 billion coal mine, saying coal has a “moral case” to power the world. However as the Fin archly points out, the Coalition’s interest in the environment and renewable energy is clear with the new merged portfolio ranking 23 out of 23 in the Coalition’s list of ministries. It’s not all bad news though. The merging of the environment and energy portfolios has been one that renewable energy advocates have been asking for many years. It reflects a basic understanding that the two are closely linked and any coherent renewable policy must involve both portfolios. This integration is argued as a positive development here by Anna Skarbek, CEO at ClimateWorks Australia, Monash University, in The Conversation. RenewEconomy’s Giles Parkinson agrees, with a caveat. In his 19th July article he says though the combining of the energy and environment in a super portfolio is a good idea, he adds that it depends on who is running the show. The environment portfolio reshuffles of last week haven’t exactly inspired confidence in the renewables sector. However in merging energy and environment, Turnbull 3.0 appears to have taken at least a baby step in the right direction. Has the mighty swing against his government in the June election given him pause for thought? Or should we be demanding a lot, lot more of our government? Previous Article: Will Malcolm grow a pair on solar power policy? Next Article: Will LGCs Pay More Than STCs on a 10-100kW solar system?